There may not be any episodes of The X-Files in the immediate future, but Gillian Anderson won’t be off TV for very long! In addition to the third and final season of her British television series, The Fall, Anderson has signed on for the adaptation of Neil Gaiman’s American Gods! The New Gods reflect human society’s worship of drugs, technology, and other modern vices. The old Gods will be represented on this show by Mr. Wednesday (Ian McShane) and his bodyguard, Shadow Moon (Ricky Whittle), an ex-con who is the lead character of the story. Mr. Wednesday is secretly one of the most famous Gods, and his roadtrip with Shadow Moon is meant to gather his forces against the New Gods. American Gods doesn’t currently have a premiere date, but it does have a stellar creative lineup including showrunners Bryan Fuller and Michael Green, director David Slade, and Neil Gaiman himself. A 2017 debut appears to be likely. 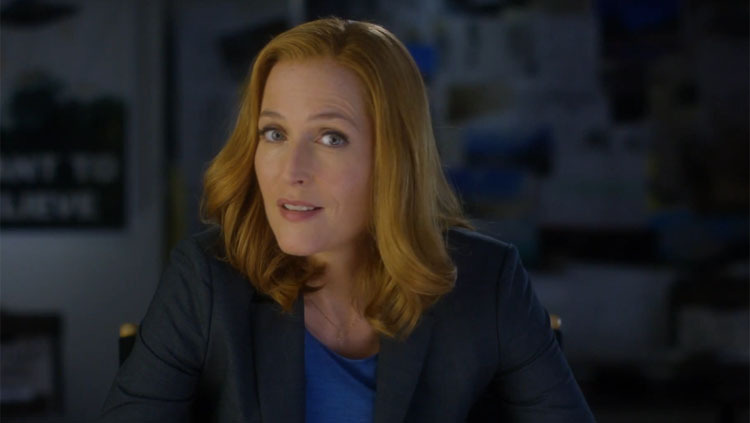 Are you excited about Gillian Anderson’s new role on American Gods? Who else would you like to see cast on this series now or in the future? Let us know in the comment section below!